AU mission in Somalia had said it will investigate the reports of its Forces involved killing of four Civilians in Nothren Mogadishu on Tuesday. 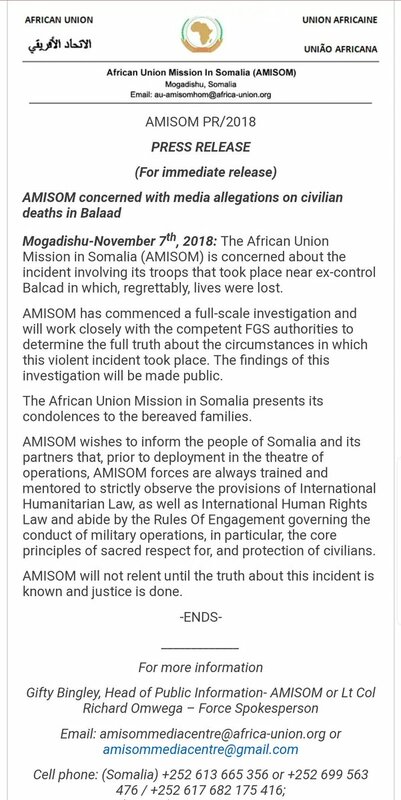 AMISOM sent condolence to the Families and as it said will investigates this accident alongside Federal Government of Somalia. Next article8; Musharrax oo codsaday in dib loo dhigo doorashada Koofur Galbeed.